In 1978, the RAF had five ex-BOAC VC10s and four ex-East African Airways Super VC10s converted as air-to-air refuelling tankers. These were known in service as the VC-10 K2 and VC-10 K3 respectively. Both variants had underwing refuelling pods, and a centreline refuelling point installed in the rear freight bay. An in-flight refuelling probe was fitted on to the nose, allowing fuel to be taken from other tankers. 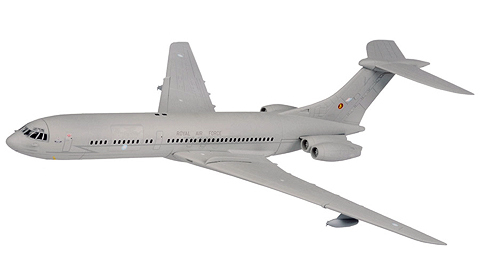 In 1981, 14 ex-British Airways Super VC10s were purchased, and 5 were converted to VC-10 K4 tankers, reducing the others to spares in the 1990's. 13 surviving VC10 C1s were then equipped with wing refuelling pods and re-designated as VC-10 C1K dual-role tanker/transports – and still serve with No.101 Sqn at RAF Brize Norton, Oxon.